This week Mike and Kelly discuss Alice Cooper’s 13th album, “Special Forces”. 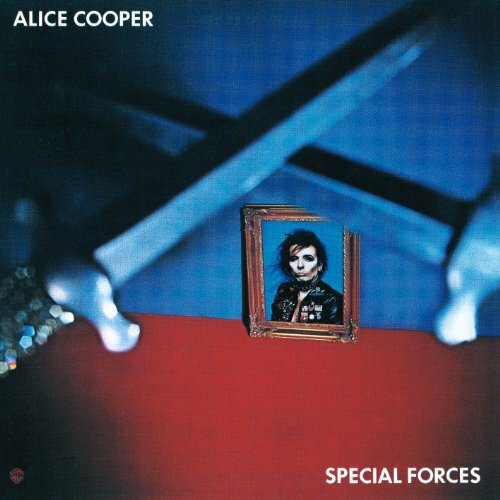 Grittier and tougher than its predecessor “Flush the Fashion”, Special Forces is a fun listen but seldom soars to the heights of some of the best material from Alice. That said, check out You’re a Movie, Skeletons In My Closet, and Who Do You Think We Are… fun songs! “Special Forces” ended up at #7 on Kelly’s list, #9 on Mike’s. Tagged Alice, Alice Cooper, Special Forces. Bookmark the permalink.